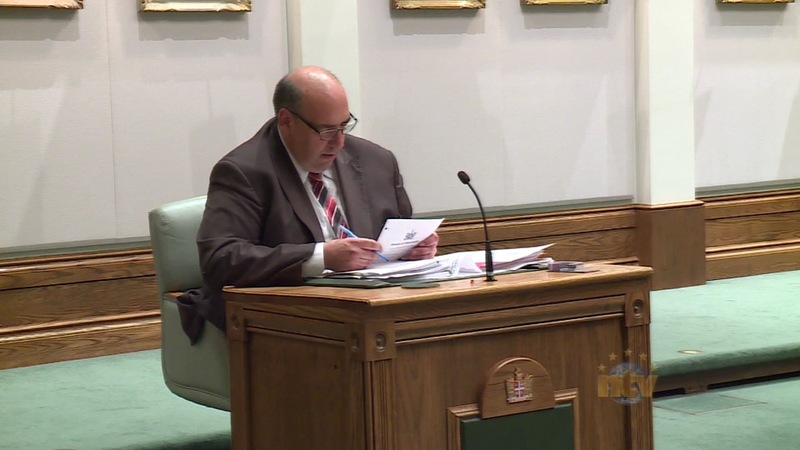 Paul Lane Accused Lorraine Michael with Flip-Flopping on Muskrat Falls. – Thanks Muskrat! Paul Lane Accused Lorraine Michael with Flip-Flopping on Muskrat Falls. Mr. Speaker, it is kind of funny, I listened to the Leader of the Third Party over there. She said mining is good for the people working in the mines. She said it is good for secondary industry. She said it is good for the Province, it is good for Labrador. She said the whole concept of mining to Labrador is very, very good. Now, that is what she said out of one side of her mouth. Then, Mr. Speaker, at the same time she is somehow trying to jump on the bandwagon, if you will, of the value of mining to Labrador and to the Province, it is the same party that are voting against Muskrat Falls and have been totally against Muskrat Falls, right from the outset. It is the same party that obviously is not concerned about the people of Holyrood because they do not want to see Holyrood shut down. They talk about the environment and so on. Next Dunderdale Had No Intention of Shutting Down Muskrat Falls.